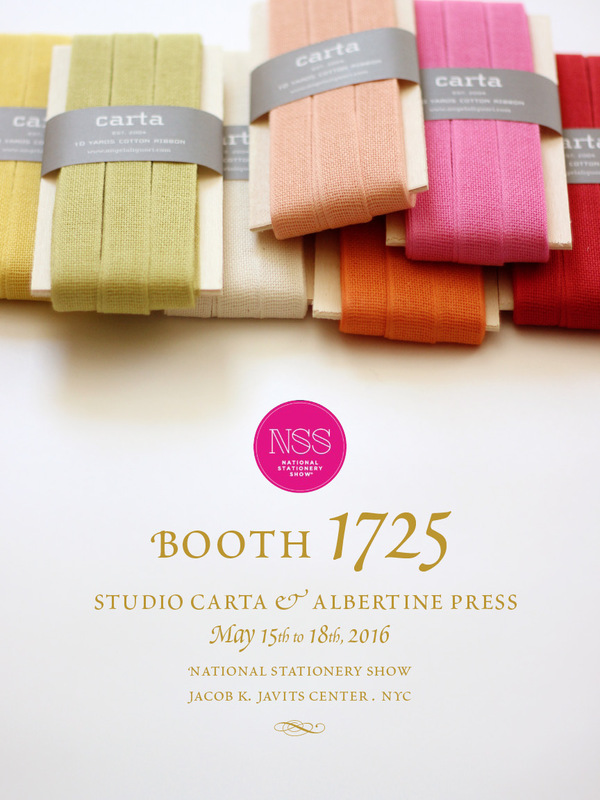 Come to visit us at the National Stationery Show in NYC, from May 15th until May 18th. We are debuting lots of new products at the NSS this year! 10 yards cotton ribbon on wood paddles, available in 52 styles, a new line of scissors and a new packaging for our entire desk accessories collection and sparkling spools of metallic thread. All made in Italy, designed, packaged and distributed from our studio in Brookline, MA. We are also serving espresso throughout the show, so how can you resist? We have a new location and a larger booth! We hope to see you soon! Angela and the studio's team.